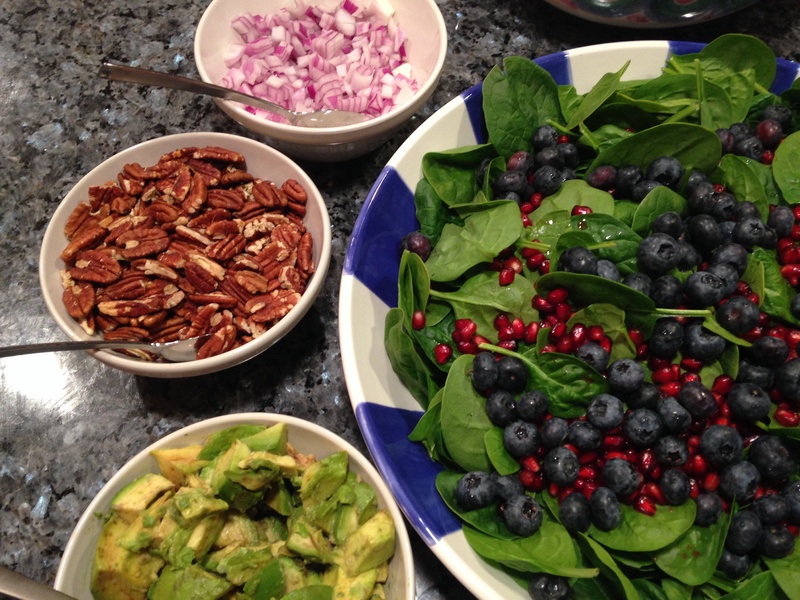 This salad is not only beautiful, it’s packed with antioxidant, anti-aging and anti-cancer ingredients! One nibble and your body can start to reverse all the damage you caused in you 20s! It’s gluten-free, vegetarian, vegan, and delicious! Let the healing begin! Except for the pomegranate seeds it looks like what I had for supper last evening! However, I did add some fresh pineapple chunks and raisins into the salad as well. OOooh I love fresh pineapple, never added them to a salad though, except in the form of salsa! great idea! Thanks for reco!